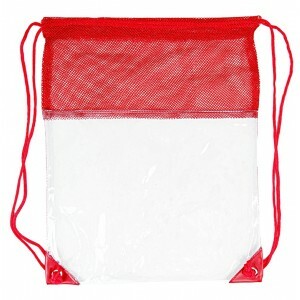 This custom clear vinyl/mesh drawstring backpack are largely preferred for value building by small budget marketers because they offer reason to smile. 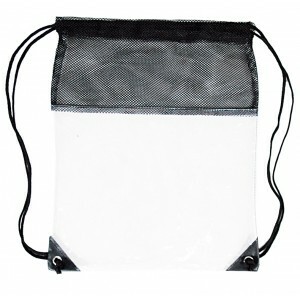 This backpack offers large storage space and clear visibility to business messages. 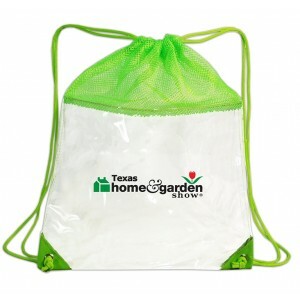 It can be easily carried around using the close or smooth drawstring. 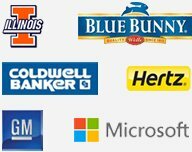 It is perfect for adults and kids and makes an year around value building choice. 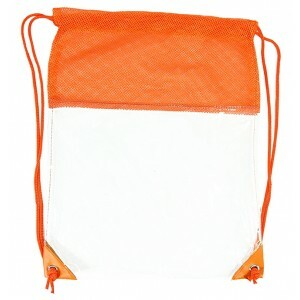 We offer attractive price benefits and many other value advantages on bulk orders of this backpack. 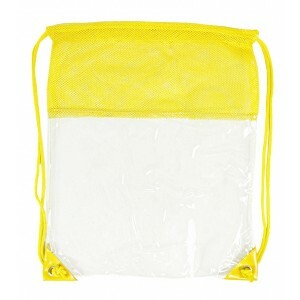 Request a quote to know wholesale savings for this customized clear vinyl/mesh drawstring backpack. Features- Sturdy crystal clear vinyl construction with reinforced bottom corners. 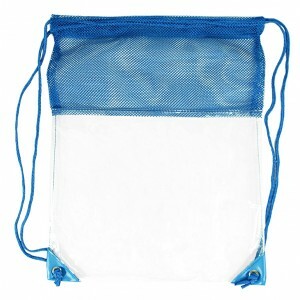 Smooth open/close drawstring for easy carrying. Clear vinyl. 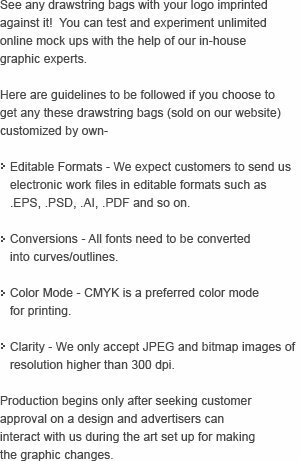 Item Size - 14"W x 18"H.
Imprint Size – 6"W x 6"H.